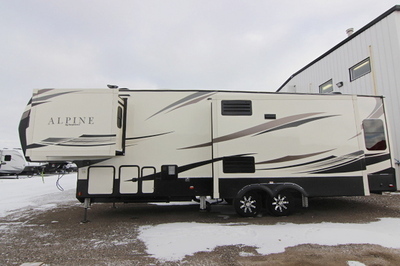 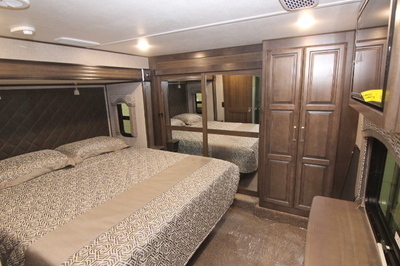 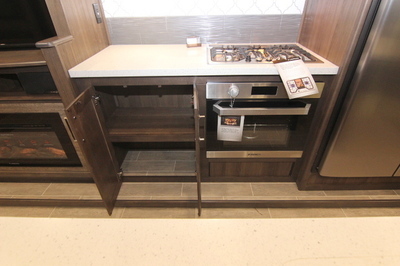 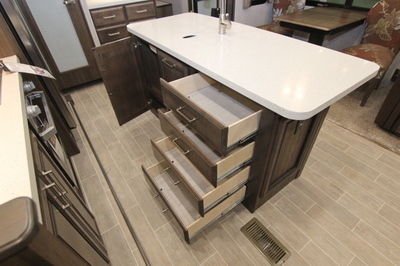 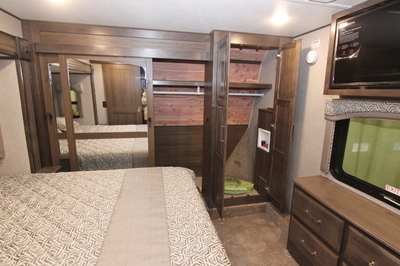 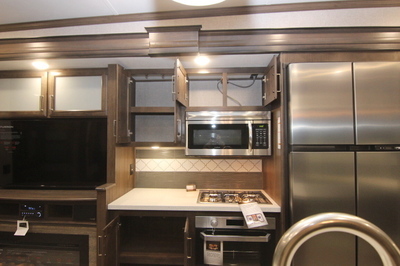 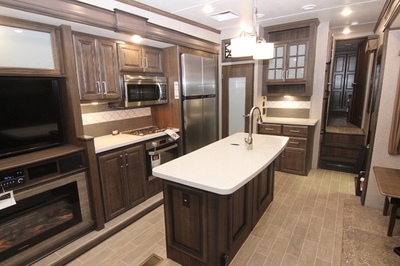 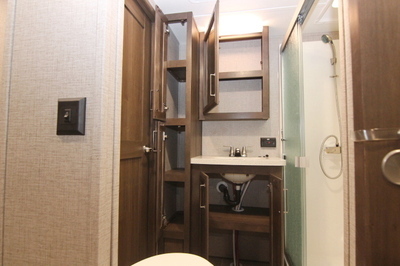 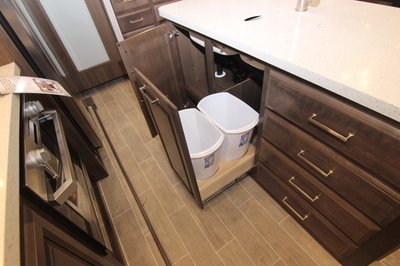 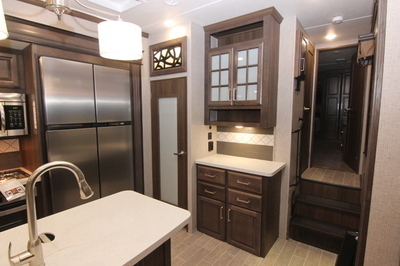 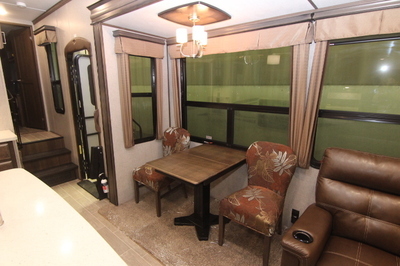 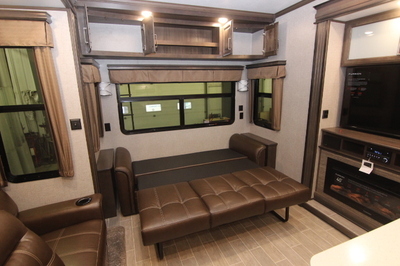 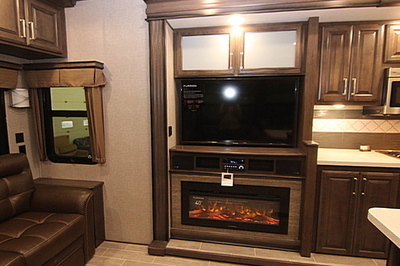 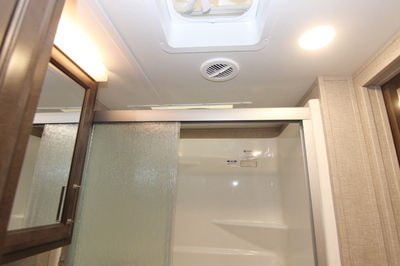 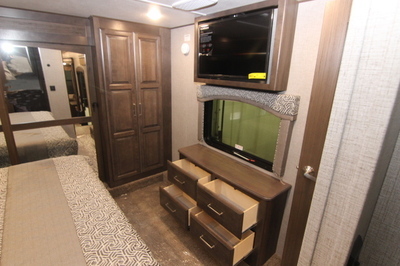 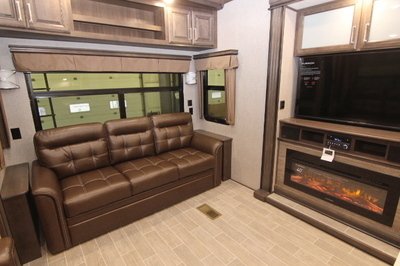 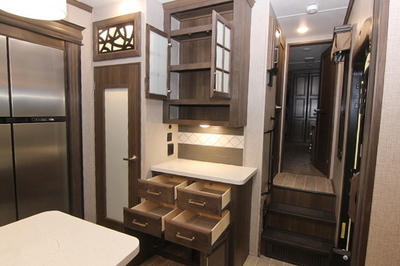 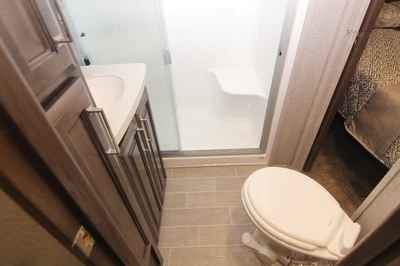 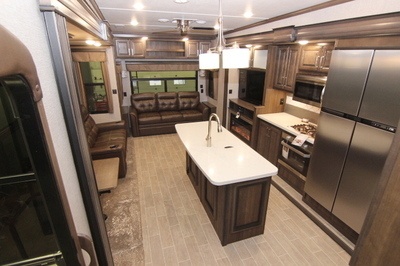 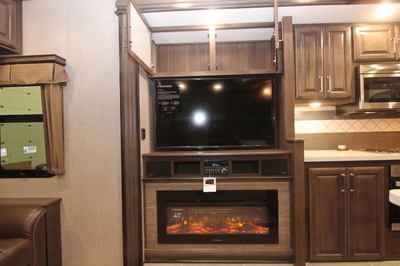 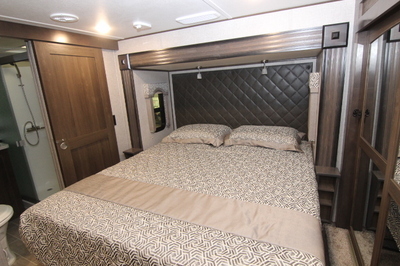 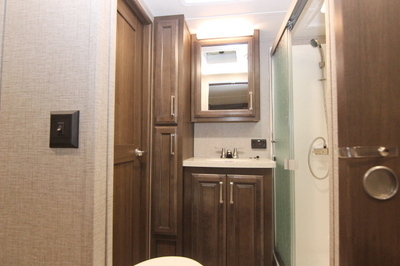 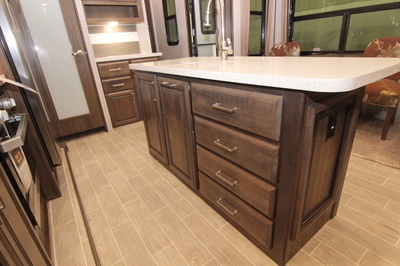 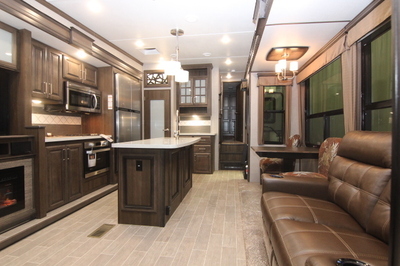 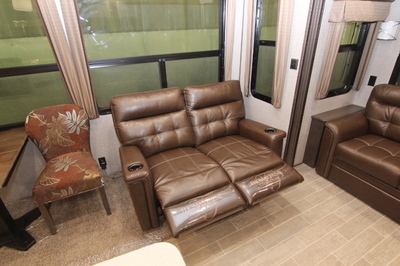 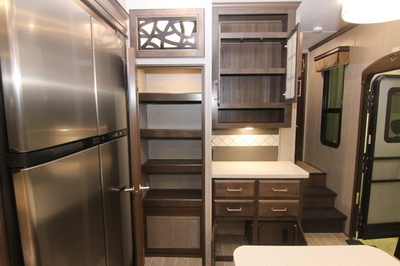 Packages and Upgrades Included with this Unit:- Summit Slides with Super Sized Windows, Alps Package, Whisper Air Deluxe (Dual 15K), IN Command Smart Automation System, G-Range Tires, Trail Air Pin Box, 18 Cu Ft Four Door Fridge, Heat Pump, 6 Point Hydraulic Auto Leveling, Free Standing Dinette. 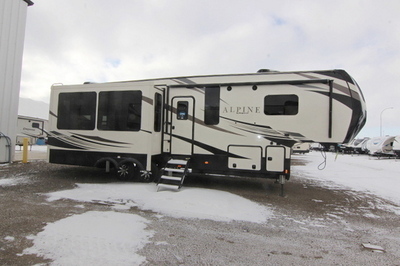 Exterior Features:- Rear Accessory Hitch, Solar Prep, Rear Observation Camera Prep, G Rated Tires, Heavy Duty 7,000 lb Axles, Easy Lube Axles, 12” Beams with Z-Frame Technology, “No Sweat” Vented Attic System, 50 AMP Service w/Detachable Power Cord, Hydraulic Selector Valves for Slide Outs,Hydraulic Front Landing Jacks w/8” Diameter All-Terrain Landing Pads, Gutters w/Rain Spouts, Rear Ladder, One-Touch electric Awning Package w/Adjustable Arms, Tinted 80% Safety Glass Windows, MAX TURN High-Gloss Fiberglass Front Cap and Rear with 30% Better Turning Radius, Aerodynamic Design w/18% Better Drag Efficiency and Hitch Assist Bank Up Mirror, High Gloss Exterior Sidewalls, Baggage Doors and Entry door, Class “A” Style Dual Latch “Slam” Baggage Doors, Super-Size 6’ 4” Tall, 30” Wide Entry Door, Deluxe Graphics Package, High Gloss Fiberglass Rear Cap, One Piece Polypropylene Underbelly, 12V Heat Pad Holding Tanks. 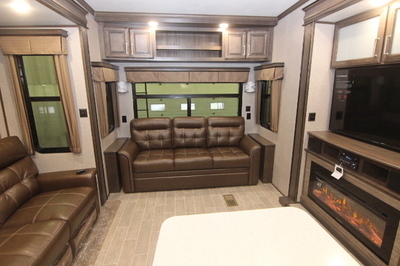 Interior Features:- Tri-Fold Sofa, 2 High Back Custom Dinette Chairs, Folding Chairs (2), Extra Tall 6’ 8” Main Slide Height, MCD Day/Night Roller Shades, Ceiling Fan with Upgraded Lighting Fixtures, Electric Roof Vent in Kitchen, LP Leak Detector, Translucent Glass Shower Door, Hand Held Massaging Shower Head, Skylight Over Shower, Porcelain Toilet, Single Level Master Bedroom Suite, “Cloud Nine” 70” X 80” Pillow Top King Bed Mattress,Residential Style Headboard w/Shelves, Cross Ventilation Bedroom Windows Where Available, Quilted Bedspread and Pillows.